“Raise your banner, won't you come? 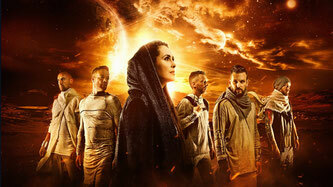 The year 2018 marks the return of the world-renowned Dutch symphonic metallers Within Temptation from a 2-year break after finishing the Hydra World Tour. 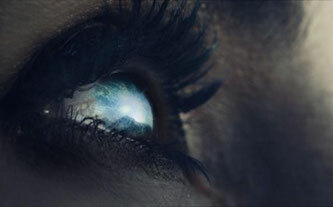 During the break, the exhausted Sharon den Adel suffered from a writer's block and as well personal problems that eventually led her to abandon the songwriting process to focus on herself. As a way of coping, Sharon started composing for herself and got inspiration to write songs about vulnerability while going “more personal and direct", the singer decided to release the songs on her new solo project My Indigo (review here) since they would not fit into her main band's image. With new found inspiration and a right state of mind, den Adel started to compose “bigger and combative” songs for their upcoming album which was revealed to be called “Resist” back in September while the band started that the album the most difficult they have ever done yet until Sharon recovered from her burnout and led the band with a direction to follow. Like their predecessor, “Hydra”, the new work takes inspiration from pop music while giving it a dark edge, not discarding any of their symphonic metal and bombastic musical roots. 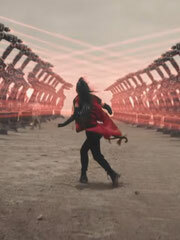 The sound and lyrics of the album also takes inspiration from contemporary technology and also political aspects. According to den Adel, the fact that everyone is traceable today intrigued her and had her wondering about whether it would be good for the population, as in cases of national security, or bad, in cases of dictatorships. She had also found herself intrigued and annoyed by the algorithms behind merchandising offers and purchasing suggestions, and felt that it was putting people on boxes according to their supposed personal tastes based on what they look for in the internet, restricting them from having new interests and points of view. The album also features guest from the likes of Jacoby Shaddix of Papa Roach, Anders Fridén of In Flames, and Jasper Steverlinck of Arid. Getting into the album, we start of with the band's first single “The Reckoning” featuring Jacoby Shaddix. 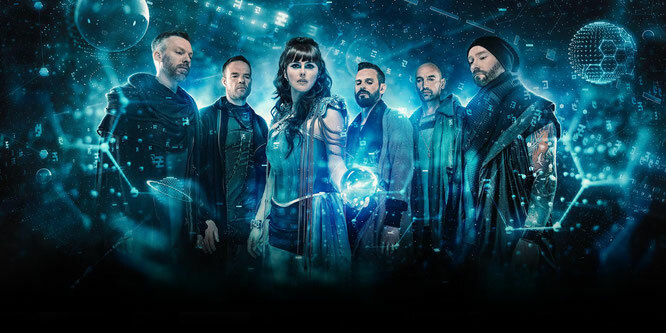 Introducing Within Temptation with pulsating electronic trills with fanfare sounds as if there going to a battle, sudden burst of loud sounds from the thunderous drums and heavy rhythmic guitar riffs with the intense battle cry by Shaddix soars throughout the opening. Everything is settled down once the vocals of Sharon takes over and the sounds smooth hard rock flows with the vocal lines, the sounds of the chorus recaps to the opening theme with the duo of our resistance leaders as the background music builds up as we’re about to charge into “the reckoning”. The blast of distorted riffs and high-powered vocal lines with blow fans back with it's heaviness and in the dystopian ambience. The track and video is a great opener to the resistance leaders who will lead us into the fray and bring new-found power to the people to rise against the reign of terror. The following track takes a different, “Endless War” not as bombastic as the previous one as it goes more like urban hip-hop with rock elements, and to put in to comparison, the rhythm sounds close to “Aquarius”. The intro with Sharon's soaring vocals and an amazing chorus line the band manages to put in is reminiscent of their symphonic metal past. 'm sure fans can be appreciate that they even though the band moved into a new musical direction, they never fully ditched their roots. 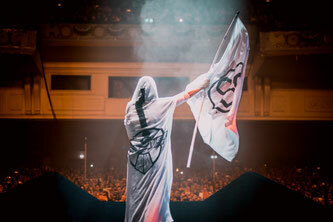 Following the concept, “Raise Your Banner” displays a strong message of revolution against those who think they can control us, and also features Anders Fridén of In Flames. Sharon's gives her voice a sense of intimidation, a warning not to mess with them and as well of exhaustion as she is tired all of battling in this “endless war”. The dramatic scream by Anders and the duet gives you a thrill that you want to charge into battle to fight for your freedom, the guitar solo makes way as it's trying to push away at our enemies while the sorrowful violins symbolizes as our fellow comrades resisters sacrficing themselves for our freedom. At the bridge, Sharon comes in with signature ghostly high notes as the final push to know that we will not give up this fight and we will be free of tyranny. Next is a song Sharon stated this song is dedicated to her late father, “Supernova”, you can also hear it in the personal line “when the lights goes down, I'm still here, and I'm singing for you”. It goes more industrial with hip-hop beats, kinda like Amaranthe but with more metal and the choir just that came a bit after the midway point definitely brushed off the dust of their gothic metal side. “Holy Ground” is melodic yet haunting that brings me flashbacks to the song “Memories”, specifically the parts with the violin playing. Sharon brings back her rapping skills that flows with the electronic sounds and an energetic chorus work. “In Vain” may not be favorable track too many for it's very generic and “weak" sound but I really like it, you just gotta give it a few more listens. In this post-apocalyptic dark electro rock, the song gives the album a side of vulnerability as everything we tried to revolt against has failed and our efforts were all for nothing. “Firelight” featuring Jasper Steverlinck of Arid, originally produced for Sharon's solo album but said it was too dark for it, you can hear My Indigo’s vibes from the smooth flow, soft beats, the light and airy vocals, but then the song explodes into alternative rock with electrifying string instrumentals in the background, bringing me chills and becoming my favorite feature on the album. “Mad World”, what a song! The catchy hooks and the melodic instrumentations can possibly put listeners into a trance and makes them want to dance. “Mercy Mirror” was my highly anticipated track based on the title since the name sounds like something from “The Unforgiving”. I thought this will be a heavy-hitting but turns out to be a beautiful ballad. Opening softly with the piano and intensifies with the inclusion of the drums and guitar while Saron displays her raw emotions about letting go. The final track “Trophy Hunter” is a theatrical outro to the new album, as if this song is everything what the band has ben holding out for nine track and decide to let everything go in the finale. 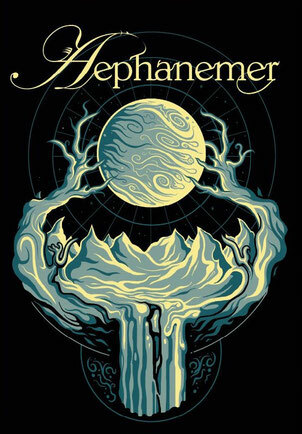 As a fan of the band for 10 years now, I might have underestimated the album since “The Reckoning” was first teased because it was farther away from the sound they displayed from “The Unforgiving” and “Hydra”, the band had evolved once again. 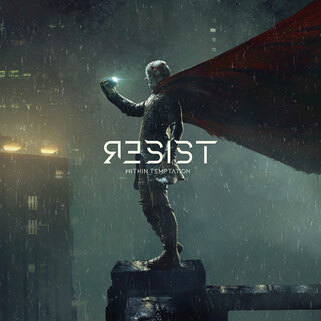 This album may not be everyone's cup of tea because of how “mainstream” (I hate that word) Within Temptation went and the Sci-Fi elements seems very unprecedented to their image. The album still has it’s flaws like the use of repetition and not many songs tend to stand out from one another, which didn’t give me different thoughts while reviewing, but I still like the album and curious how far Within Temptation will take this new direction in this cycle.